Here I go again, cut and pasting a reply to yet ANOTHER tumultuous, magnificently written piece on “American Sniper”s chances now that it’s become Ben-Hur. Read, by all means, what Sasha Stone has to say at http://www.awardsdaily.com. She’s been doing this day after day. I don’t know how she does it, but she does it. She’s one of our great writers. She sets the bar so high, and then keeps raising it! “ANOTHER brilliant, impassioned piece of writing from Sasha, analyzing this past weekend’s rather astounding events at the box-office. Sasha hasn’t dragged politics in to this year’s Oscar race, the movies themselves have, like it or not. Tom O’Neill was raving about “American Sniper” on Entertainment Tonight for “livening up the Oscar race.” It DID look pretty boring and predictable, more so than ever, with Moore, Arquette and Simmons having all their categories, Best Actress and the two Supporting categories laid down in Grauman’s Chinese cement already. But now comes “American Sniper” and SUDDENLY there’s actually something to DEBATE about. Something to write about for the blogosphere. But they are not Academy voters. The Academy still has many members who DON’T EVEN HAVE A COMPUTER!?!? But are too ashamed to admit it, and the average age is 80 or 85. Not 62. As they are saying. Just attend an actual academy screening and the number of walkers and wheelchairs lined up at the back is staggering. That said, “AS” doesn’t have a chance with the Left-leaning Academy. R U kidding me? It will never win Best Picture. They will think. “It’s gotten the $. It doesn’t need the awards” but it just might get something. Like the two sound awards! Best Sound Mixing and Best Sound Editing. Now, as far as Best Actor, if the sudden attention being paid to Bradley Cooper, translates into actual votes(and I wonder about that), it’s Michael Keaton who gets hurt by this. 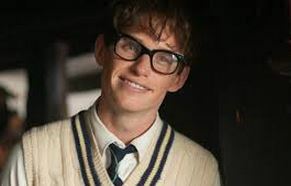 And the people who were going to vote for Eddie Redmayne are still going to vote for Eddie Redmayne.